On-the-job accidents are much more common in the construction industry than in most other industries. With 828 construction deaths in 2013, over 20% of the total on-the-job fatalities were due to construction accidents, with many thousand more non-lethal accidents taking place. The best way to set a good example is by following the rules yourself. If your employees see you using your safety equipment and checking that they’re working safely, they’ll put more thought into completing their work in a safe manner. If you tell them to use safety equipment and practices but don’t use them yourself, they won’t be nearly as likely to do so themselves. Make sure you provide PPE in a range of sizes and options when available so workers can choose equipment that will allow them freedom of movement, comfort and fit. Create friendly competitions between work crews or job sites for the longest period of time without an accident or OSHA violation, with a treat such as a performance bonus, night out at a local sporting event or a great lunch or dinner in the office. Try a rewards system where an employee can earn points for safe behavior, such as wearing high-visibility clothing, safety glasses or participating in safety-related trainings, then provide a range of rewards for each point level. Create a penalty system for employees who break your company’s safety regulations, including probation or termination for repeat or serious offenses. This carrot-or-stick approach helps encourage workers to do their best while actively avoiding problem behaviors that can cause accidents in the first place. We’ve all been on jobs where you watch a dozen different videos before starting work, but most of that information goes in one ear and out the other along with so many other orientation items. Consider apprenticing a new employee with a veteran who is highly conscious of safety practices instead of dated safety videos, because learning by doing leads to much higher knowledge retention rates. And if you really want them to pay attention, provide safety training that is both informative and entertaining, like our construction safety video blog series. Your safety committee will review policies, accidents and problems in the field. By including people from your highest positions to your newest construction worker, you’re ensuring that workers at every level have someone they’re comfortable talking to about their safety concerns. It’s vital that the people chosen for this committee are approachable and that their suggestions are at a minimum given serious thought to implement so employees know they have a voice speaking up for their workplace safety. This should include at least one or two people on every crew. In addition to knowing who to call in case of an accident, having people trained in basic first aid, hazard mitigation and similar areas ensures that if an accident does take place, despite your best precautions, that the injured party is immediately taken care of to the best of your crew’s ability. It’s one thing to say that everyone needs to wear gloves while working on particular pieces of machinery and something completely different in following through that requirement. When you make a change to your company’s safety policies, you need to enforce them, otherwise the requirements will be ignored by the workers in the field in favor of the practices they already have in place, whether those practices are safe or not. By encouraging safe behavior through a company culture that supports construction safety, you’re ensuring your company provides a safer work environment, higher worker morale and less down time from construction accidents. Take the time to implement these suggestions and you’ll see a drastic turn-around in employee attitudes towards construction safety. If you don’t know where to start, just download the Definitive Guide to Safety today. 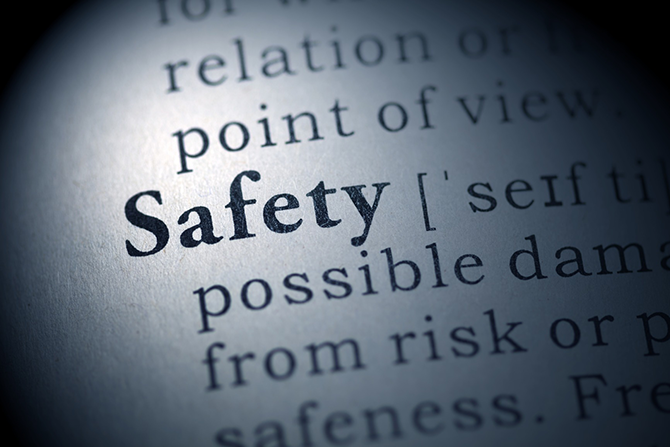 If you need help designing and implementing a better safety program for your business, please contact us today.